Bridgewater Associates’ founder Ray Dalio was born and raised in suburban Manhasset Hills on New York’s Long Island. He received a BA from Long Island University and an MBA from Harvard Business School. After completing his education, Dalio worked on the trading floor of the New York Stock Exchange. He was a Director of Commodities at Dominick & Dominick LLC. In 1974, he spent a year trading futures as a broker at Shearson Hayden Stone. 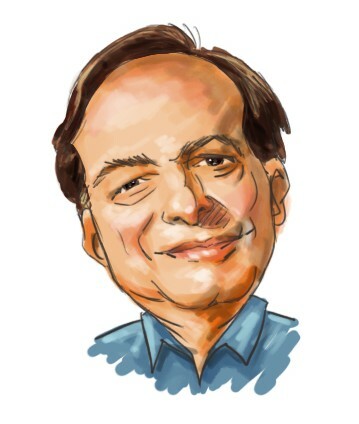 He founded Bridgewater Associates in a two -bedroom apartment in 1975. Now, Bridgewater Asociates manages approximately $122 billion in global investments for a wide range of institutional clients. Based in Westport, Connecticut, Bridgewater has about 1,200 employees, researching the market and generating analysis that informs bets on macroeconomic trends. The Bridgewater hedge fund was ranked as the largest and best-performing hedge fund manager in the world in 2010. In July 2007, more than one year before the bankruptcy of Lehman Brothers, Bridgewater Associates’ newsletter noted the 50 percent growth in notional value of credit derivatives to $29 trillion during the last half of 2006. Therefore, Pure Alpha II, one of Bridgewater’s hedge fund, shorted stocks, loaded up on gold and treasury bonds. According to the investors, it gained 9.4% in 2008. Since the beginning of 2010, Bridgewater Associates made profits from its investments in developed-market currencies, equities, emerging-market debts and currencies as well as commodities. The fund generated 44.8% return last year. In the economic turmoil in 2011, Bridgewater Associates has a return of 25.3% through August 31rd. Since December 1, 1991, the time Pure Alpha II started, it has an annualized return of 15%. You can read more about Ray Dalio and Bridgewater Associates in this Bloomberg article.